Our training programmes help your employees gain the skills they need to work productively and safely. 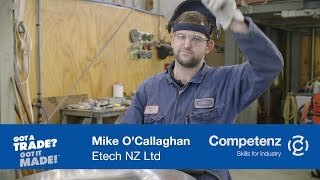 They may result in a completed apprenticeship after three or four years of on-the-job study, or a New Zealand or National Certificate (a qualification recognised on the New Zealand Qualifications Framework). Our account managers and training advisors work with you to explain our training programmes and develop a training plan, based on these programmes, to meet the specific skill needs of your business. Our account managers and training advisors work with you to understand your business and the skills you need. Then they agree a tailored training plan with you to help your employees gain those skills. Most of this learning takes place on-the-job.